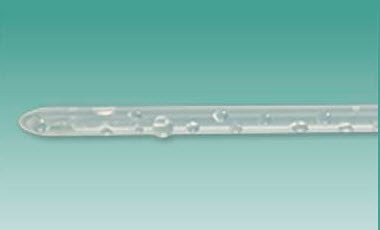 The MAGIC3 TOUCHLESS ™ is a closed system with a 100% silicone hydrophilic catheter, and is designed to help reduce the risk of UTIs. 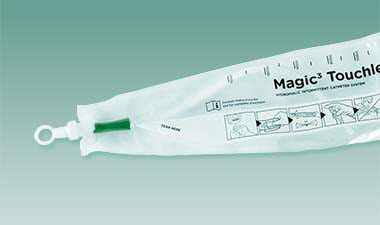 It has a MAGIC3® catheter for better comfort, a SURE-GRIP™ sleeve for more control, and many features of the bag that make it convenient and easy to use – especially for people with limited dexterity. 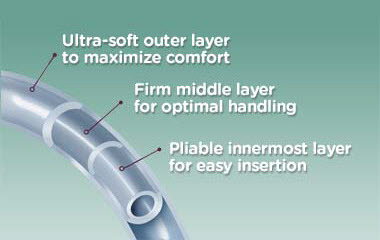 From catheter to bag, the MAGIC3 TOUCHLESS™ closed system delivers on comfort, convenience, and safety. 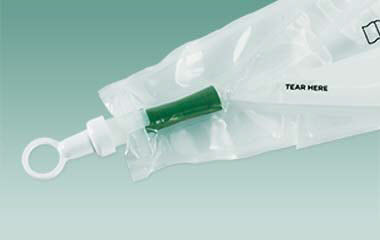 Collection bag’s tapered neck design helps decrease scratches associated with sharp corners.